GM Ignition Switches — What Legal Rights do You Have? In a memo released on Sunday, March 30th, 2014 by the House subcommittee charged with investigating General Motor’s handling of the ignition switch defects, it was brought to light that GM discussed two different fixes for these defective switches, but cancelled them both without taking action. Congress is now investigating why, when GM knew there were problems with the ignition switches as far back as 2001, they did not immediately issue recalls. Instead, they waited until at least 12 deaths were definitely linked to these defective products before taking action. Congress is also investigating why the National Traffic Safety Administration didn’t investigate the situation with these cars in spite of receiving evidence of this potentially fatal problem. The nature of the problem with these ignition switches is this: these ignition switches can turn off by themselves if weighed down or bumped. Having a key fob or another key on the key chain that holds the ignition key is reportedly enough to trigger the problem. When the ignition switches off, the engine stops and the airbags disable which can result in tragedy when a vehicle is in motion. The recall includes the Chevrolet Cobalt, Chevrolet HHR, Pontiac G5, Pontiac Solstice, Saturn Ion and Saturn Sky from the 2003-’11 model years. Car accidents caused by mechanical or design failures can leave victims with serious personal injuries. All too often, they result in wrongful death. If you were involved in an accident which was the result of negligence on the part of an auto manufacturer, you have the right to pursue compensation for your medical bills, lost wages and other losses. Automotive components are often manufactured by corporations under subcontract to large automotive manufacturers. The primary contractor, GM for instance, is responsible for overseeing the crashworthiness and safety of the product but the manufacturer and subcontractors for smaller individual components may share liability for damages in the event of a failure that caused injury or death. Investigating the cause of the failure and the responsibility for quality control requires knowledge of manufacturing laws and insurance policies that cover the manufacturing corporations. This is a highly specialized area of law, so if you have been injured in a car accident caused by a defective auto part or system, such as these defective ignition switches, talk to an experienced auto defects injury lawyer as soon as possible. Time is an important factor during the initial investigation, and please keep in mind that West Virginia allows only two years to file a lawsuit after such injuries. Toyota was recently fined $1.2 billion for misleading regulators as well as the public about a deadly acceleration problem in its vehicles, and it remains to be seen whether the government will levy a similar penalty on GM. The $1.2 billion payment represents the largest criminal penalty imposed on a car company in U.S. history for hiding safety defects from the public in “blatant disregard” of the law. This is appropriate given the extent of the deception carried out by Toyota in this case. Is General Motors next? 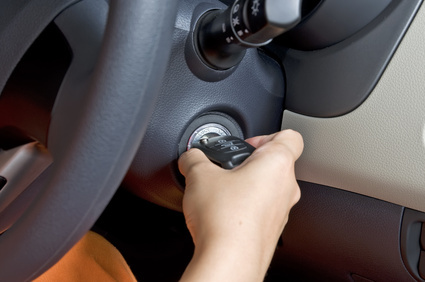 Those who have suffered harm due to a faulty ignition switch or due to any defective automobile should seek legal counsel. Consumers have rights and those rights must be protected. If you have questions, Call today: 304-594-1800 or after hours, 304-216-6695. Find Jeff Robinette on Google. Source: The Dominion Post: Congress: GM Failed Twice to Fix Ignition Switch Defect, Associated Press, March 31, 2014.